This past month or so has been a month filled with changes, including moving to a new house and traveling to a time zone 10 hours ahead of my local time. My personal experience the last month: Since moving apartments, I now live in a lovely little house where I’m maybe only picking up my own WiFi router and 2-3 more (vs. the 15 or so in my last apartment). Before my international trip, I’m not kidding – I was getting the best sleep I’ve had ever. No joke. My energy has been better, and I’m not nearly as reliant on the midday coffee I was before. Soon after moving, I traveled internationally for work and lived in a hotel for 3 weeks. Now, as an experienced traveler, I’ve gotten getting over jetlag to perfection. However, the three weeks away were anything but restful — I was in a heavily polluted city in a very well connected (WiFi) hotel, and was getting consistent exposure to many other electronics in my 1 hotel bedroom – TV, two cellphones, laptops, etc. — even after getting over my jetlag fully. I was waking each morning feeling incredibly groggy despite having gotten 8+ hours. After the 15.5 hour trip back home, I was having the worst headaches I’ve had in a really long time and was incredibly nauseous. And, don’t even get my started about EMF exposure and air travel (go here to learn more: safespaceprotection.com). Since getting back home, I feel I can finally rest — my electronics can live in other rooms, the WiFi router is far, far away, and I’m resting great again. Is it possible that our bodies are electrostressed? I think there’s a safe argument to say yes. In a day where we as a society are sleep deprived, I think there has to be an argument that our exposure to high EMF producing items has to be partly influencing this. Of course, our own lifestyle and culture can influence this. But, considering our exposure to these EMFs has dramatically increased only in the last 150 years or so our bodies have not evolved to be able to handle these stressors. Firstly, stop using your cellphone as an alarm clock and just turn it off. Don’t bring it in the room with you, if you can help it. Not only does this disturb your sleep from a biological level (EMF, blue light exposure), but for many it’s literally like bringing your office to bed. It’s too tempting to make that last check of emails or Facebook. So, just leave it out. Second, evaluate where your WiFi router is in your home. Move it to a farther location from the bedroom, and if you can, turn it off. It will still give off EMF, but not nearly as much as it would if it were running 24/7. With my experience working with children with special needs, time and time again I have had parents tell me their children will go and unplug their WiFi router at home. And it’s simple – these children are already sensitive to what is put in their bodies and sensitive from a sensory standpoint. So, try setting a cut-off time not only for screens, but the router itself. Lastly, take advantage of airplane mode on electronic devices. Again, it may not stop the EMF completely, but it can reduce exposure. For kids, there are lots of great apps out there that they can use on tablets/phones that don’t require a WiFi connection. So, do your body a favor and try to reduce your exposure. You don’t have to go and live in a cabin in the woods (unless you want to) to reduce EMF influence on your sleep and overall health. Are you an adult looking for a better night’s rest?  I am now a certified Solve Your Sleep Coach! Contact me to learn how to get the best 7-9 hours of sleep you can. PrevPreviousThe 3 Things for Increased Brain Power!